Above: Kuzniewski, Dorota Agata: She was born Feb 6, 1860 in Malewko, Plocka Gubernya, Poland. Kuzniewscy, Jozef: He was born Bef 1763. He died Aft 1792. He married Dorata Kuzniewscy. Their known children were Blazej Kuzniewski, Marianna Kuzniewska and Wojciech Kuzniak. +. Kuzniewscy, Dorata: She was born Bef 1767. She died Aft 1787. She married Jozef Kuzniewscy. Their known children were Blazej Kuzniewski, Marianna Kuzniewska and Wojciech Kuzniak. Kuzniewski, Blazej: He was born Jan 31, 1787 in Koziebrody. He died Dec 7, 1854 in Milewko. He married Bogumila Murawska-Kuzniewska on Bef 1815. Their known children were Jozefa Marianna Kuzniewska, Józefa Kuźniewska-Cichowska, Gabryel Kuzniewski, Jan Kuzniewski, Antonina Kuzniewska-Turbacz and Antoni Kuzniewski. +. Murawska-Kuzniewska, Bogumila: She was born 1783. She died Mar 24, 1853 in Milewko at Reported by Blazej. She married Blazej Kuzniewski on Bef 1815. Their known children were Jozefa Marianna Kuzniewska, Józefa Kuźniewska-Cichowska, Gabryel Kuzniewski, Jan Kuzniewski, Antonina Kuzniewska-Turbacz and Antoni Kuzniewski. Kuzniewska, Jozefa Marianna: She was born 1814. Kuźniewska-Cichowska, Józefa: She was born 1820. She married Benedyct Cichowski. They had no known children. +. Cichowski, Benedyct: He was born 1804. He married Józefa Kuźniewska-Cichowska. They had no known children. Kuzniewski, Gabryel: He was born 1822 in Milewko, Plocka Gubernya, Poland. He married Katarzyna Salomea Gorczynska on Nov 9, 1845 in Saint Jakuba, Koziebrody. Their known children were Marianna Kuzniewska, Teofila Kuzniewska, Agata Dorata Kuzniewski, Antoni Kuzniewski and Jan Kuzniewski. +. Gorczynska, Katarzyna Salomea: She was born Nov 22, 1823 in Ciesle. She died Aft 1863. She married Gabryel Kuzniewski on Nov 9, 1845 in Saint Jakuba, Koziebrody. Their known children were Marianna Kuzniewska, Teofila Kuzniewska, Agata Dorata Kuzniewski, Antoni Kuzniewski and Jan Kuzniewski. Kuzniewska, Marianna: She was born Nov 15, 1846 in Milewko. She died Nov 19, 1846 in Milewko. Kuzniewska, Teofila: He was born Aug 4, 1848 in Milewko, Plocka Gubernya, Poland. He died Nov 3, 1850 in Milewko. Kuzniewski, Agata Dorata: She was born Feb 6, 1860 in Milewko, Plocka Gubernya, Poland. She died Aug 16, 1850 in Uniek, Poland. She married Walenty Jezak on Jan 29, 1886. They had no known children. She married Stanislaw Sadowski on Jan 29, 1886 in Raciaz, Poland. Their known children were Wladyslaw Sadowski, Antoni Sadowski, Julian Sadowski, Leonard Sadowski and Wiktoria Sadowski-Waslicka. +. Jezak, Walenty: He died Mar 4, 1885 in Kraszewo Rory (parish of Raciąż). He married Agata Dorata Kuzniewski on Jan 29, 1886. They had no known children. +. Sadowski, Stanislaw: He was born Nov 5, 1864 in Mala Wies, Plocka Gubernya. He died May 8, 1945 in Uniek, Poland. He married Agata Dorata Kuzniewski on Jan 29, 1886 in Raciaz, Poland. Their known children were Wladyslaw Sadowski, Antoni Sadowski, Julian Sadowski, Leonard Sadowski and Wiktoria Sadowski-Waslicka. Sadowski, Wladyslaw: He was born Jan 28, 1887 in Kraszewo Rory (parish of Raciąż). He died Nov 3, 1890 in Kraszewo Rory (parish of Raciąż). Sadowski, Antoni: He was born Mar 26, 1889 in Kraszewo Rory (parish of Raciąż). His known child was Stanislaw Sadowski. Sadowski, Stanislaw: He died Aft 1907. Sadowski, Julian: He was born May 28, 1892 in Kraszewo Rory (parish of Raciąż). Sadowski, Leonard: He was born Feb 17, 1895 in Kraszewo Rory (parish of Raciąż). He married Zofia Cybulska-Sadowski on Jun, 1922 in Raciaz, Poland. Their known child was Salomea Sadowska-Trojanowska. +. Cybulska-Sadowski, Zofia: She was born 1903. She died Jun 4, 19756 in Kraszewo Rory (parish of Raciąż). She married Leonard Sadowski on Jun, 1922 in Raciaz, Poland. Their known child was Salomea Sadowska-Trojanowska. Sadowska-Trojanowska, Salomea: She was born 1940 in Kraszewo Rory (parish of Raciąż). She died 2004 in Raciaz, Poland. She married Adam Trojanowski on 1961 in Raciaz, Poland. Their known child was Pawel Trojanowski. +. Trojanowski, Adam: He was born 1935 in Rogowo, Polan. He died 2008 in Sierpc, Poland. He married Salomea Sadowska-Trojanowska on 1961 in Raciaz, Poland. Their known child was Pawel Trojanowski. Trojanowski, Pawel: He was born 1966 in Sierpc, Poland. He married Beata Rozniak-Trojanowska. Their known child is Justyna Trojanowska. +. Rozniak-Trojanowska, Beata: She was born 1966 in Sierpc, Poland. She married Pawel Trojanowski. Their known child is Justyna Trojanowska. Trojanowska, Justyna: She was born Mar 8, 1990 in Sierpc, Poland. Sadowski-Waslicka, Wiktoria: She was born 1902. She died Sep 27, 1988 in Kodlutowo, Poland. She married Waclaw Waslicki. They had no known children. +. Waslicki, Waclaw: He was born 1898. He died Jun 28, 1944 in Kodlutowo, Poland. He married Wiktoria Sadowski-Waslicka. They had no known children. Kuzniewski, Antoni: He was born Jan 18, 1863 in Milewo, Plocka Gubernya. He died Feb 10, 1945 in Flushing, Queens, New York. He married Michalina Sadowski-Kuzniewski on 1886 in Saint Jakuba, Koziebrody. Their known children were Adam J. Kneski, Frank J. Kneski, Louis Kneski, Mary Kneski-Rychlinski, Gladys "Lottie" Kneski-Pileski, John Frank Kneski, Victoria Kneski-Romanski, Joseph Kneski, Anna F. Kneski-Kuzbik and Josephine Kneski-Siemion. +. Sadowski-Kuzniewski, Michalina: She was born 1866. She died Nov 21, 1942 in Flushing, Queens, New York. She married Antoni Kuzniewski on 1886 in Saint Jakuba, Koziebrody. Their known children were Adam J. Kneski, Frank J. Kneski, Louis Kneski, Mary Kneski-Rychlinski, Gladys "Lottie" Kneski-Pileski, John Frank Kneski, Victoria Kneski-Romanski, Joseph Kneski, Anna F. Kneski-Kuzbik and Josephine Kneski-Siemion. Kneski, Adam J.: He was born Sep 15, 1887 in Mala Wies, Plocka Gubernya. He died 1931. He married Wilhelmina (Amelia) P. Zebrowski-Kneski. Their known children were Anna Kneski, Alexander Kneski (2) and Sophia Kneski. +. Zebrowski-Kneski, Wilhelmina (Amelia) P.: She was born Jul 14, 1901 in New York. She died Mar, 1963 in Riverhead, Suffolk, New York. She married Adam J. Kneski. Their known children were Anna Kneski, Alexander Kneski (2) and Sophia Kneski. Kneski, Anna: She married Joseph Dexter. Their known children were Dorothy Dexter, Joseph Alfred Dexter and Anna Mae Dexter. +. Dexter, Joseph: He married Anna Kneski. Their known children were Dorothy Dexter, Joseph Alfred Dexter and Anna Mae Dexter. Dexter, Dorothy: She married William Benson. They had no known children. +. Benson, William: He married Dorothy Dexter. They had no known children. Dexter, Joseph Alfred: He married Hildegard Krah Dexter. Their known children were Dennis S. Dexter, Michael J. Dexter, Rosemarie B. Dexter and Christopher S. Dexter. +. Dexter, Hildegard Krah: She married Joseph Alfred Dexter. Their known children were Dennis S. Dexter, Michael J. Dexter, Rosemarie B. Dexter and Christopher S. Dexter. Dexter, Anna Mae: She married George Falk. They had no known children. +. Falk, George: He married Anna Mae Dexter. They had no known children. Kneski, Alexander (2): He or she was born Feb 26, 1914. He or she died Nov 27, 1976. Kneski, Sophia: She married Dudley Olney. They had no known children. +. Olney, Dudley: He married Sophia Kneski. They had no known children. Kneski, Frank J.: He was born Aug 15, 1892 in Flushing, Queens, New York. He died Nov 8, 1962 in Riverhead, Suffolk, New York. He married Mary Kneski. Their known children were Thomas Kneski, Florence Kneski-Kielkucki and Frank Kneski Jr..
+. Kneski, Mary: She was born in Pennsylvania. She married Frank J. Kneski. Their known children were Thomas Kneski, Florence Kneski-Kielkucki and Frank Kneski Jr.. She married Thomas Kneski. Their known children were Joseph Kneski (2), Thomas Kneski (2) and Frank J. Kneski (2). Kneski, Thomas: He was born Jul 8, 1914. He married Mary Kneski. Their known children are Joseph Kneski (2), Thomas Kneski (2) and Frank J. Kneski (2). Kneski, Joseph (2): He married Annemarie Kneski. Their known children were Gina Kneski, Jennifer Kneski and Joseph Kneski (3). +. Kneski, Annemarie: She married Joseph Kneski (2). Their known children were Gina Kneski, Jennifer Kneski and Joseph Kneski (3). Kneski, Thomas (2): He married Donna Kneski. Their known children were Bianca Kneski, James Joseph Kneski, Michael Kneski and Thomas John Kneski. +. Kneski, Donna: She married Thomas Kneski (2). Their known children were Bianca Kneski, James Joseph Kneski, Michael Kneski and Thomas John Kneski. Kneski, Frank J. (2): He married Loida Torres. Their known children were Frank J. Kneski Jr. and Richard Kneski (2). +. Torres, Loida: She married Frank J. Kneski (2). Their known children were Frank J. Kneski Jr. and Richard Kneski (2). Kneski, Frank J. Jr.: He or she was born in Brooklyn, New York. Kneski, Richard (2): He or she was born in Brooklyn, New York. Kneski-Kielkucki, Florence: She was born Feb 17, 1923. She married Chester Kielkucki. They had no known children. She married John Kielucki. Their known child is Donna Kielkucka. +. Kielkucki, Chester: He married Florence Kneski-Kielkucki. They had no known children. +. Kielucki, John: He married Florence Kneski-Kielkucki. Their known child was Donna Kielkucka. Kielkucka, Donna: She was born Oct 3, 1954. Her known children are Danielle Kielkucka and Michelle Kielkucka. Kneski, Frank Jr.: He was born Jul 8, 1917 in Calverton, Suffolk, New York. He died Dec 24, 1992 in Riverhead, Suffolk, New York. He married Gene Falka-Kneski. Their known children were Robert J. Kneski (2) and Raymond Kneski. +. Falka-Kneski, Gene: She married Frank Kneski Jr.. Their known children were Robert J. Kneski (2) and Raymond Kneski. Kneski, Robert J. (2): He married Grace A. Kneski. Their known children were Debra Kneski, Patrick M. Kneski and Michael R. Kneski. +. Kneski, Grace A.: She married Robert J. Kneski (2). Their known children were Debra Kneski, Patrick M. Kneski and Michael R. Kneski. Kneski, Debra: He or she was born Jan 3, 1967. Kneski, Patrick M.: He was born Jan 12, 1969. He married Lisa Maguffin Kneski. Their known children are Alyssa Nicole Kneski and Sylar Alexa Kneski. +. Kneski, Lisa Maguffin: She married Patrick M. Kneski. Their known children were Alyssa Nicole Kneski and Sylar Alexa Kneski. Kneski, Alyssa Nicole: He or she was born Mar 12, 1994. Kneski, Sylar Alexa: He or she was born Nov 3, 1998. Kneski, Michael R.: He or she was born Nov 5, 1974. Kneski, Louis: He was born Sep 28, 1894 in Flushing, Queens, New York. He died Jan, 1974 in Westhampton, Suffolk, New York. He married Amilia Kneski. Their known children were Alfred Kneski and Chester Kneski. He married Helen Kneski. They had no known children. +. Kneski, Amilia: She died Nov 14, 1957. She married Louis Kneski. Their known children were Alfred Kneski and Chester Kneski. Kneski, Alfred: He was born Feb 11, 1916 in New York. He died Mar, 1977 in New York. He married Pauline Krupski-Kneski. Their known children were Amilia Kneski (2), Caroline Kneski-McKay, Theresa Kneski-Cavallini and Peter Kneski (2). +. Krupski-Kneski, Pauline: She married Alfred Kneski. Their known children were Amilia Kneski (2), Caroline Kneski-McKay, Theresa Kneski-Cavallini and Peter Kneski (2). Kneski, Amilia (2): He or she was born Feb 9, 1938. Kneski-McKay, Caroline: She was born Aug 28, 1941. She married Frank McKay. Their known children are Jeffrey McKay, Doreen McKay, Jo-Anne McKay and Steve McKay. +. McKay, Frank: He married Caroline Kneski-McKay. Their known children were Jeffrey McKay, Doreen McKay, Jo-Anne McKay and Steve McKay. McKay, Jeffrey: He or she was born Oct 17, 1962. McKay, Doreen: He or she was born Sep 11, 1964. McKay, Jo-Anne: He or she was born Mar 20, 1970. McKay, Steve: He or she was born Aug 10, 1972. Kneski-Cavallini, Theresa: She was born Apr 14, 1949. She married Augusto Cavallini. Their known children are Phillip Cavallini and Matthew Cavallini. +. Cavallini, Augusto: He married Theresa Kneski-Cavallini. Their known children were Phillip Cavallini and Matthew Cavallini. Cavallini, Phillip: He or she was born Apr 29, 1978. Cavallini, Matthew: He or she was born Oct 31, 1981. Kneski, Peter (2): He was born Feb 11, 1952. He married Barbara Naccario-Kneski. Their known children are Steve Kneski and Peter Kneski Jr..
+. Naccario-Kneski, Barbara: She married Peter Kneski (2). Their known children were Steve Kneski and Peter Kneski Jr..
Kneski, Steve: He or she was born Nov 18, 1979. Kneski, Peter Jr.: He or she was born Jan 28, 1981. Kneski, Chester: He or she was born Bef 1916. +. Kneski, Helen: She was born Mar 2, 1903 in New York. She died Jun, 1975 in Westhampton, Suffolk, New York. She married Louis Kneski. They had no known children. Kneski-Rychlinski, Mary: She was born Dec 20, 1899 in Flushing, Queens, New York. She died 1978. She married Anthony Rychlinski. Their known children were Josephine Rychlinski, Frank Rychlinski, Florence Rychlinski-Banschoick, John Rychlinski and Helen Rychlinski-McKay. +. Rychlinski, Anthony: He was born May 6, 1894. He married Mary Kneski-Rychlinski. Their known children were Josephine Rychlinski, Frank Rychlinski, Florence Rychlinski-Banschoick, John Rychlinski and Helen Rychlinski-McKay. Rychlinski, Frank: He was born Dec 2, 1923. He married Theresa Nabrezny-Rychlinski. They had no known children. +. Nabrezny-Rychlinski, Theresa: She married Frank Rychlinski. They had no known children. Rychlinski-Banschoick, Florence: She was born Oct 25, 1926. She married George Banschoick. Their known children are Diane Marie Banschoick, Patricia Banschoick-Ogeka and Sheryl Banschoick-Julian. +. Banschoick, George: He married Florence Rychlinski-Banschoick. Their known children were Diane Marie Banschoick, Patricia Banschoick-Ogeka and Sheryl Banschoick-Julian. Banschoick-Ogeka, Patricia: She was born Jan 21, 1950. She married Alex Ogeka. Their known children are George Ogeka and Alex Ogeka Jr..
+. Ogeka, Alex: He married Patricia Banschoick-Ogeka. Their known children were George Ogeka and Alex Ogeka Jr..
Ogeka, George: He or she was born Feb 1, 1970. Ogeka, Alex Jr.: He or she was born Dec 1, 1977. Banschoick-Julian, Sheryl: She was born May 11, 1957. She married Ralph Julian. Their known children are John Julian and Joshua Julian. +. Julian, Ralph: He married Sheryl Banschoick-Julian. Their known children were John Julian and Joshua Julian. Julian, John: He or she was born Feb 11, 1975. Julian, Joshua: He or she was born Jun 16, 1981. Rychlinski, John: He was born Jan 4, 1929. He died Feb, 1985. He married Jenny Jermusyk-Rychlinski. Their known child was Karen Conklin. +. Jermusyk-Rychlinski, Jenny: She married John Rychlinski. Their known child was Karen Conklin. Conklin, Karen: Her known children were Clayton Conklin, Jenny Conklin, Kyle Conklin and Rachael Conklin. Rychlinski-McKay, Helen: She was born Jan 17, 1939. She married Raymond McKay. Their known children are Michael McKay, Donald McKay, Joseph McKay and Katherine McKay. +. McKay, Raymond: He married Helen Rychlinski-McKay. Their known children were Michael McKay, Donald McKay, Joseph McKay and Katherine McKay. McKay, Michael: He was born Jul 20, 1962. His known child is Michael John McKay. McKay, Michael John: He or she was born Jun 22, 1997. McKay, Donald: He or she was born Oct 10, 1964. McKay, Joseph: He or she was born May 3, 1968. McKay, Katherine: He or she was born Jul 10, 1971. Kneski-Pileski, Gladys "Lottie": She was born Nov 25, 1901 in Flushing, Queens, New York. She married Zigmund Pileski. Their known children were Henry Pileski, Helen Pileski-Ryniec and Frank Pileski Sr..
+. Pileski, Zigmund: He was born Dec 3, 1895. He died Apr, 1968. He married Gladys "Lottie" Kneski-Pileski. Their known children were Henry Pileski, Helen Pileski-Ryniec and Frank Pileski Sr..
Pileski, Henry: He was born May 16, 1923. He married Marguerite Pileski. Their known children are Kristina Pileski and Mia Pileski. +. Pileski, Marguerite: She married Henry Pileski. Their known children were Kristina Pileski and Mia Pileski. Pileski, Kristina: She was born Jun 9, 1969. She married Michael Bartiax. They had no known children. +. Bartiax, Michael: He married Kristina Pileski. They had no known children. Pileski, Mia: He or she was born Sep 25, 1973. Pileski-Ryniec, Helen: She was born May 21, 1925. She married Stanley Ryniec. They had no known children. +. Ryniec, Stanley: He married Helen Pileski-Ryniec. They had no known children. Pileski, Frank Sr.: He was born Dec 12, 1927. He married Clementina Lonski-Pileski. Their known children are Frank Pileski Jr. and Thomas Pileski. +. Lonski-Pileski, Clementina: She had no known children. She married Frank Pileski Sr.. Their known children were Frank Pileski Jr. and Thomas Pileski. Pileski, Frank Jr.: He was born Jun 28, 1956. He married Pamela Luce-Pileski. Their known children are Matthew Pileski, Michael Pileski, Kyle Pileski and Taylor Pileski. +. Luce-Pileski, Pamela: She married Frank Pileski Jr.. Their known children were Matthew Pileski, Michael Pileski, Kyle Pileski and Taylor Pileski. Pileski, Matthew: He or she was born Jan 26, 1984. Pileski, Michael: He or she was born Feb 15, 1986. Pileski, Kyle: He or she was born Aug 8, 1989. Pileski, Taylor: She was born Apr 4, 1992. Pileski, Thomas: He was born Nov 11, 1959. He married Guendeline Defreist-Pileski. Their known children are Joshua Pileski, Benjamin Pileski and Zachary Pileski. +. Defreist-Pileski, Guendeline: She married Thomas Pileski. Their known children were Joshua Pileski, Benjamin Pileski and Zachary Pileski. Pileski, Joshua: He or she was born May 4, 1988. Pileski, Benjamin: He or she was born Feb 16, 1995. Pileski, Zachary: He or she was born Mar 23, 1990. Kneski, John Frank: He was born Sep 20, 1902 in Flushing, Queens, New York. He died Oct, 1985 in Florida. He married Victoria Ketcham (37) in Westhampton, Suffolk, New York. Their known children were Elliott Kneski, Paul Victor Kneski and Bernard Kneski. +. (37), Victoria Ketcham: She was born Nov 27, 1905 in Westhampton, Suffolk, New York. She died Jul, 1974 in Westhampton, Suffolk, New York. She married John Frank Kneski in Westhampton, Suffolk, New York. Their known children were Elliott Kneski, Paul Victor Kneski and Bernard Kneski. Kneski, Elliott: He was born Mar 2, 1926 in Westhampton, Suffolk, New York. He died Jun 11, 1996 in Westhampton, Suffolk, New York. He married Dorothy Pierce-Kneski in Westhampton, Suffolk, New York. Their known children were Victoria Kneski-Pigott, Elliott Kneski Jr., Debra Kneski-Czaplick and Jeffrey Kneski. +. Pierce-Kneski, Dorothy: She married Elliott Kneski in Westhampton, Suffolk, New York. Their known children were Victoria Kneski-Pigott, Elliott Kneski Jr., Debra Kneski-Czaplick and Jeffrey Kneski. Kneski-Pigott, Victoria: She was born Nov 14, 1950 in Westhampton, Suffolk, New York. She married Marshall Jagger. Their known child is Theresa Jagger. She married Mitchell Pigott. Their known children are Melissa Jagger and Amy Pigott. +. Jagger, Marshall: He married Victoria Kneski-Pigott. Their known child was Theresa Jagger. Jagger, Theresa: He or she was born May 20, 1973. +. Pigott, Mitchell: He married Victoria Kneski-Pigott. Their known children were Melissa Jagger and Amy Pigott. Jagger, Melissa: He or she was born Jul 11, 1971. Pigott, Amy: He or she was born Jul 3, 1976. Kneski, Elliott Jr.: He was born Jun 9, 1952 in Westhampton, Suffolk, New York. Kneski-Czaplick, Debra: She was born Sep 27, 1955 in Westhampton, Suffolk, New York. She married Michael Czaplick. Their known children are Kimberly Czaplick and Jodie Czaplick. +. Czaplick, Michael: He married Debra Kneski-Czaplick. Their known children were Kimberly Czaplick and Jodie Czaplick. Czaplick, Kimberly: He or she was born Oct 7, 1976. Czaplick, Jodie: He or she was born Mar 19, 1986. Kneski, Jeffrey: He was born Sep 1, 1960 in Westhampton, Suffolk, New York. He married Susanne Sharkey-Kneski. Their known children are Jeffrey Kneski Jr. and Joleen Kneski. +. Sharkey-Kneski, Susanne: She married Jeffrey Kneski. Their known children were Jeffrey Kneski Jr. and Joleen Kneski. Kneski, Paul Victor: He was born Feb 16, 1928 in Westhampton, Suffolk, New York. He married Josephine Doroski-Kneski in Westhampton, Suffolk, New York. Their known children are Michele Kneski-Cavouto, Paul Kneski Jr., Peter Kneski, Robert Kneski and John Stanley Kneski. +. Doroski-Kneski, Josephine: She was born Jun 16, 1927 in Jamesport, Suffolk, New York. She married Paul Victor Kneski in Westhampton, Suffolk, New York. Their known children are Michele Kneski-Cavouto, Paul Kneski Jr., Peter Kneski, Robert Kneski and John Stanley Kneski. Kneski-Cavouto, Michele: She was born Feb 13, 1952 in Westhampton, Suffolk, New York. She married Michael Cavouto in Westhampton, Suffolk, New York. Their known child is Peter Mark Cavouto. +. Cavouto, Michael: He married Michele Kneski-Cavouto in Westhampton, Suffolk, New York. Their known child was Peter Mark Cavouto. Cavouto, Peter Mark: He was born Oct 23, 1978 in Plantation, Broward, Florida. Kneski, Paul Jr.: He was born Nov 2, 1953 in Westhampton, Suffolk, New York. He married Joan Nies-Kneski in Westhampton, Suffolk, New York. Their known children are Rebecca Kneski and Ginette Kneski. +. Nies-Kneski, Joan: She married Paul Kneski Jr. in Westhampton, Suffolk, New York. Their known children were Rebecca Kneski and Ginette Kneski. Kneski, Rebecca: She was born Mar 1, 1984. Kneski, Ginette: She was born Jun 9, 1986. Kneski, Peter: He was born Nov 2, 1953 in Westhampton, Suffolk, New York. He married Dorothy Kettle-Kneski on JAN in Westhampton, Suffolk, New York. Their known children are Katherine Kneski and Patricia Kneski. He married Gina McKenna-Kneski on FEB. They had no known children. +. Kettle-Kneski, Dorothy: She married Peter Kneski on JAN in Westhampton, Suffolk, New York. Their known children were Katherine Kneski and Patricia Kneski. Kneski, Katherine: She was born May 5, 1983. She married Jason Biancaniello in Center Moriches, NY. Their known children are Nicholas Giovanni Biancaniello and Alessandra Biancaniello. +. Biancaniello, Jason: He married Katherine Kneski in Center Moriches, NY. Their known children were Nicholas Giovanni Biancaniello and Alessandra Biancaniello. Biancaniello, Nicholas Giovanni: He was born Oct 19, 2005 in Philadelphia, PA.
Biancaniello, Alessandra: She was born Jul 24, 2009 in Daytona, Florida. Kneski, Patricia: She was born Dec 14, 1984. +. McKenna-Kneski, Gina: She married Peter Kneski on FEB. They had no known children. Kneski, Robert: He was born Jan 12, 1962 in Westhampton, Suffolk, New York. He married Tammy Lindemann-Kneski in Westhampton, Suffolk, New York. Their known children are Remy Kneski and Reed Kneski. +. Lindemann-Kneski, Tammy: She married Robert Kneski in Westhampton, Suffolk, New York. Their known children were Remy Kneski and Reed Kneski. Kneski, Remy: She was born Sep 21, 1994 in Westhampton, Suffolk, New York. Kneski, Reed: He was born Jun 22, 1996 in Westhampton, Suffolk, New York. Kneski, John Stanley: He was born Nov 8, 1964 in Westhampton, Suffolk, New York. He married Joanne Marie Toffoli-Kneski on Jan 22, 2000 in Miami Beach, Florida. Their known child is Stanley Bruno Kneski. +. Toffoli-Kneski, Joanne Marie: She was born Feb 14, 1966 in Miami, Florida. She married John Stanley Kneski on Jan 22, 2000 in Miami Beach, Florida. Their known child is Stanley Bruno Kneski. Kneski, Stanley Bruno: He was born June 28, 2003 in Miami, Florida. Kneski, Bernard: He was born Nov 26, 1930 in Westhampton, Suffolk, New York. He married Cynthia Krawczyk-Kneski in Westhampton, Suffolk, New York. Their known children are Nancy Kneski-Mastroianni, Richard Kneski and David Kneski. +. Krawczyk-Kneski, Cynthia: She married Bernard Kneski in Westhampton, Suffolk, New York. Their known children were Nancy Kneski-Mastroianni, Richard Kneski and David Kneski. Kneski-Mastroianni, Nancy: She was born Aug 8, 1956 in Westhampton, Suffolk, New York. She married Anthony Mastroianni. Their known children are Joseph Mastroianni, John Paul Mastroianni and James Peter Mastroianni. +. Mastroianni, Anthony: He married Nancy Kneski-Mastroianni. Their known children were Joseph Mastroianni, John Paul Mastroianni and James Peter Mastroianni. Mastroianni, Joseph: He or she was born Jul 28, 1977. Mastroianni, John Paul: He or she was born Feb 13, 1980. Mastroianni, James Peter: He or she was born Jul 29, 1981. Kneski, Richard: He was born Oct 15, 1960 in Westhampton, Suffolk, New York. Kneski, David: He was born Sep 26, 1962 in Westhampton, Suffolk, New York. He married Carla Didrecon-Kneski. Their known child is Laura Nicole Kneski. +. Didrecon-Kneski, Carla: She married David Kneski. Their known child was Laura Nicole Kneski. Kneski, Laura Nicole: He or she was born Jan 1, 1994. Kneski-Romanski, Victoria: She was born Mar 15, 1906 in Bayside, Queens, New York. She married Sigmund Romanski. Their known children were John Romanski and Joseph Romanski. +. Romanski, Sigmund: He married Victoria Kneski-Romanski. Their known children were John Romanski and Joseph Romanski. Romanski, John: He was born Aug 28, 1927. He married Helen Lupeke-Romanski. They had no known children. He married Delores Grote-Romanski. Their known children are John Romanski Jr., Richard Romanski, Michael Romanski and Robert Romanski. +. Lupeke-Romanski, Helen: She married John Romanski. They had no known children. +. Grote-Romanski, Delores: She married John Romanski. Their known children were John Romanski Jr., Richard Romanski, Michael Romanski and Robert Romanski. Romanski, John Jr.: He was born May 2, 1950. He married Brenda Towey-Romanski. Their known children are Scott Romanski and Helen Romanski. +. Towey-Romanski, Brenda: She married John Romanski Jr.. Their known children were Scott Romanski and Helen Romanski. Romanski, Scott: He or she was born Aug 25, 1976. Romanski, Helen: She was born Dec 28, 1980. Romanski, Richard: He or she was born Apr 17, 1955. Romanski, Michael: He was born Nov 10, 1966. He married Barbara Polspein-Romanski. Their known child is Heather Romanski. +. Polspein-Romanski, Barbara: She married Michael Romanski. Their known child was Heather Romanski. Romanski, Heather: He or she was born Jul 1, 1994. Romanski, Robert: He or she was born Jul 31, 1968. Romanski, Joseph: He was born Jun 15, 1930. He married Angelina Allegretta-Romanski. Their known children are Joseph Romanski Jr., Wayne Romanski and Diane Romanski. +. Allegretta-Romanski, Angelina: She married Joseph Romanski. Their known children were Joseph Romanski Jr., Wayne Romanski and Diane Romanski. Romanski, Joseph Jr.: He was born Jun 15, 1954. His known children are Christopher Romanski, Heather Romanski (2), Joseph Romanski III and Veronica Romanski. Romanski, Wayne: He was born Feb 7, 1959. He married Sherry Romanski. Their known children are Cody Romanski, Nicole Romanski and Wayne Romanski Jr..
+. Romanski, Sherry: She married Wayne Romanski. Their known children were Cody Romanski, Nicole Romanski and Wayne Romanski Jr..
Romanski, Diane: She was born Dec 2, 1965. Her known child is Brittany Romanski. Romanski, Brittany: He or she was born Apr 16, 1988. Kneski, Joseph: He was born Jun 15, 1909 in Calverton, Suffolk, New York. He died Jan 27, 1997 in Calverton, Suffolk, New York. He married Margaret Kneski. Their known child was Helen Kneski (2). He married Peggy Kneski. Their known child was Kenneth Kneski. His known child in family 3 was Joan Kneski-Murphy. +. Kneski, Margaret: She was born Dec 1, 1911 in New York. She died Nov, 1985 in Longwood, Seminole, Florida. She married Joseph Kneski. Their known child was Helen Kneski (2). +. Kneski, Peggy: She married Joseph Kneski. Their known child was Kenneth Kneski. Kneski, Kenneth: He was born Dec 8, 1937. He married Irene Krupski. Their known children are Edward Kneski, Gary Kneski and Debra Kneski (2). +. Krupski, Irene: She married Kenneth Kneski. Their known children were Edward Kneski, Gary Kneski and Debra Kneski (2). Kneski, Edward: He was born Feb 1, 1965. He married Peggy Zilnicki. Their known children are Edward M. Kneski Jr. and Nicholas Kneski. +. Zilnicki, Peggy: She married Edward Kneski. Their known children were Edward M. Kneski Jr. and Nicholas Kneski. Kneski, Edward M. Jr.: He or she was born Oct 14, 1997. Kneski, Nicholas: He or she was born Oct 23, 1998. Kneski, Gary: He or she was born Nov 21, 1967. Kneski, Debra (2): She was born Aug 1, 1969. She married Carl Neuberger. They had no known children. +. Neuberger, Carl: He married Debra Kneski (2). They had no known children. Kneski-Murphy, Joan: She was born Dec 10, 1933. She married Francis Michael Murphy. Their known children are Eileen Murphy-MacDonald, Kenneth Murphy and Kathy Murphy-Braner. +. Murphy, Francis Michael: He married Joan Kneski-Murphy. Their known children were Eileen Murphy-MacDonald, Kenneth Murphy and Kathy Murphy-Braner. Murphy-MacDonald, Eileen: She was born May 6, 1955. She married Stanley MacDonald. Their known child is Timothy MacDonald. +. MacDonald, Stanley: He had no known children. He married Eileen Murphy-MacDonald. Their known child was Timothy MacDonald. MacDonald, Timothy: He or she was born May 9, 1974. Murphy, Kenneth: He was born Apr 18, 1957. He married Helen Zucker. Their known children are Jennifer Murphy and Stephanie Murphy. +. Zucker, Helen: She married Kenneth Murphy. Their known children were Jennifer Murphy and Stephanie Murphy. Murphy, Jennifer: He or she was born May 31, 1983. Murphy, Stephanie: He or she was born Oct 21, 1985. Murphy-Braner, Kathy: She was born Jun 11, 1958. She married Douglas Braner. They had no known children. +. Braner, Douglas: He married Kathy Murphy-Braner. They had no known children. Kneski-Kuzbik, Anna F.: She was born Nov 20, 1915 in Calverton, Suffolk, New York. She died Feb 16, 1952 in Flushing, Queens, New York. She married Chester Kuzbik. Their known children were Jeraldine Kuzbik, Kathleen Kuzbik, Ronald Kuzbik and Bernice Kuzbik-Amen. +. Kuzbik, Chester: He married Anna F. Kneski-Kuzbik. Their known children were Jeraldine Kuzbik, Kathleen Kuzbik, Ronald Kuzbik and Bernice Kuzbik-Amen. Kuzbik-Amen, Bernice: She was born Aug 8, 1933. She died Aug, 1969. She married Louis Amen. They had no known children. +. Amen, Louis: He had no known children. He married Bernice Kuzbik-Amen. They had no known children. Kneski-Siemion, Josephine: She was born Nov 20, 1915 in Calverton, Suffolk, New York. She died Jun 12, 1947 in Flushing, Queens, New York. She married Edward Siemion. Their known child was Edward Siemion Jr..
+. Siemion, Edward: He married Josephine Kneski-Siemion. Their known child was Edward Siemion Jr..
Siemion, Edward Jr.: He was born Oct 11, 1935. He died Jul 18, 1944. He married Ronnie Siemion. They had no known children. +. Siemion, Ronnie: She married Edward Siemion Jr.. They had no known children. Kuzniewski, Jan: He was born 1865. He is deceased. He married Franciska Krupinska-Kuzniewski. Their known children were Franciszek Kuzniewski, Stanislawa Kuzniewski, Pelagia Kuzniewski and Jozef Kuzniewski. +. Krupinska-Kuzniewski, Franciska: She married Jan Kuzniewski. Their known children were Franciszek Kuzniewski, Stanislawa Kuzniewski, Pelagia Kuzniewski and Jozef Kuzniewski. Kuzniewski, Franciszek: He was born Bef 1903 in Poland. Kuzniewski, Stanislawa: She was born Bef 1903 in Poland. Kuzniewski, Pelagia: She was born Bef 1903 in Poland. Kuzniewski, Jozef: He was born Bef 1903 in Poland. Kuzniewski, Jan: He was born 1823. He married Katarzyna Kuźniewska-Górecka. They had no known children. +. Kuźniewska-Górecka, Katarzyna: She was born 1820. She married Jan Kuzniewski. They had no known children. Kuzniewska-Turbacz, Antonina: She was born 1821. She married Wawrzeniec Turbacz. They had no known children. +. Turbacz, Wawrzeniec: He was born 1816. He married Antonina Kuzniewska-Turbacz. They had no known children. Kuzniewski, Antoni: He was born 1816. He married Honorata Kupniewska-Kuzniewska. Their known child was Franciszek Kuzniewski. +. Kupniewska-Kuzniewska, Honorata: She married Antoni Kuzniewski. Their known child was Franciszek Kuzniewski. Kuzniewski, Franciszek: He was born Dec 12, 1844. He married Jozefa-Franciszka Borowska-Kuzniewska on Jan 15, 1866. Their known child was Jan Kuzniewski. +. Borowska-Kuzniewska, Jozefa-Franciszka: She was born 1844. She married Franciszek Kuzniewski on Jan 15, 1866. Their known child was Jan Kuzniewski. Kuzniewski, Jan: He was born Dec 12, 1866. He married Michalina Ruszkowska-Kuzniewska on Dec 29, 1890. Their known child was Szczepan Kuzniewski. +. Ruszkowska-Kuzniewska, Michalina: She married Jan Kuzniewski on Dec 29, 1890. 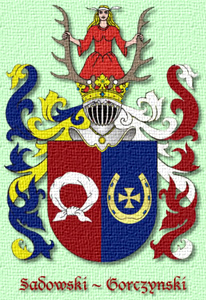 Their known child was Szczepan Kuzniewski. Kuzniewski, Szczepan: He was born Dec 26, 1891 in Szumanie Bakalary. He died Mar 24, 1968 in Osiek Parcele. He married Helena Lorenc-Kuzniewska. Their known child was Czesław Kuzniewski. +. Lorenc-Kuzniewska, Helena: She was born 1892. She died Feb 12, 1960. She married Szczepan Kuzniewski. Their known child was Czesław Kuzniewski. Kuzniewski, Czesław: He was born Oct 31, 1937. He died Mar 7, 1998. He married Teresa Czyzychowicz on Sep 18, 1960. Their known children were Andrzej Kuzniewski and Miroslaw (Mirek) Kuzniewski. +. Czyzychowicz, Teresa: She was born Mar 9, 1939. She married Czesław Kuzniewski on Sep 18, 1960. 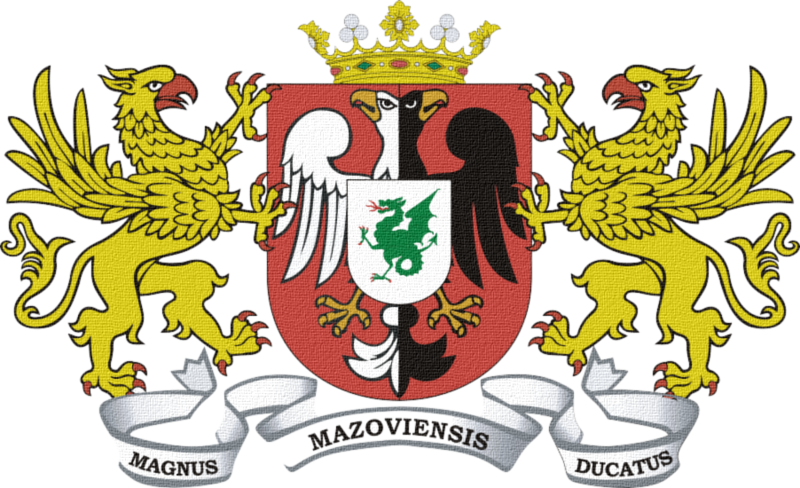 Their known children are Andrzej Kuzniewski and Miroslaw (Mirek) Kuzniewski. Kuzniewski, Andrzej: He was born Jul 18, 1961. He married Elzbieta Zulewska-Kuzniewska on Jun 8, 1985. Their known children are Krzysztof Kuzniewski and Monika Kuzniewska. +. Zulewska-Kuzniewska, Elzbieta: She was born Jul 8, 1961. She married Andrzej Kuzniewski on Jun 8, 1985. Their known children are Krzysztof Kuzniewski and Monika Kuzniewska. Kuzniewski, Krzysztof: He was born Oct 31, 1988. Kuzniewska, Monika: She was born Apr 16, 1986. Kuzniewski, Miroslaw (Mirek): He was born Feb 10, 1966. He married Dorata Warabida-Kuzniewska on Sep 26, 1992. Their known children are Krystian Kuzniewski and Kamil Kuzniewski. +. Warabida-Kuzniewska, Dorata: She was born Sep 5, 1968. She married Miroslaw (Mirek) Kuzniewski on Sep 26, 1992. Their known children are Krystian Kuzniewski and Kamil Kuzniewski. Kuzniewski, Krystian: He was born Mar 13, 1996. Kuzniewska, Marianna: She was born 1793. She died 1811. Kuzniak, Wojciech: He was born Apr 21, 1781.